1/2”to 24” in WNRF, SORF & BLRF. We are stockist for stainless steel seamless and welded world class perfomance pipes and tubes. Welcome to Rose Metals All products of Rose Metals meets a very high standard, set by stringent quality specification& norms. All process parameters are developed & constantly monitored through entire processing process. Rose Metals established in year 1979,has drawn together under the one roof of the total spectrum of trading, stockholding and processing activities in Stainless Steel, Duplex Steel, Nickel Alloy, Copper, Brass and Aluminium, in the shape of Pipes, Tubes, Rods, Sheets, Plates, Wires, Angles, Coils, Strips. Quality is one thing, which has kept our company’s credibility and reputation in the market for over years and due to which we have gained our costumer’s loyalty. We emphasis more on quality of the material supplied and have been continuously monitoring the quality of materials through our three different inspection stages. Our Vision is to be the premier supplier of metals solutions around the world. Our Mission is to be the world leader in metal products and our commitment towards customers by exceedingtheir expectations in quality, delivery, service and cost through continuous improvement and customer interaction. 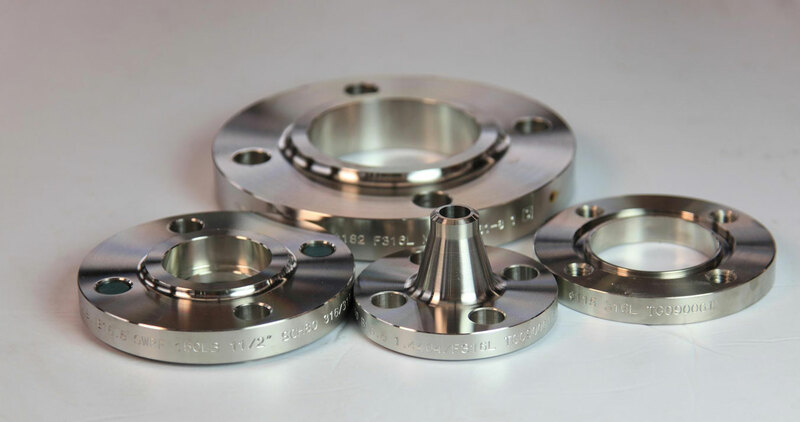 We have been maintaining adequate stock levels of Pipes, Plates, Sheets, Coils, BW Fittings, Flanges, Bars etc. to meet the growing demand domestically & Internationally for Stainless Steel industrial and infrastructural goods and cater industires of Oil & Gas, Chemical, Nuclear, Power, Food Processing etc. Each product supplied is sourced from reputed manufacturers / stockiest with correlated documentation and is packed in wooden box, palletized or as per special requirement of clients helping in easy handling, avoiding transit damage and long-term storage increasing the durability of materials. “There’s no abiding success without commitments” and our team of dedicated & expertise staff and our supply chain partners helps us to deliver ourcommitment timely. Though we have an in house quality control check, we also carry Third Party Inspection from the reputed and Govt. recognized agencies, which are preferred by our valuable clients. “Happy customers is Successful Business” We have a dedicated team for customer support from inquiry level till the material is delivered to our customers to ensure total customer satisfaction. The company has scaled incredible heights in business owing its quality products. Rose Metals are stockiest for Stainless Steel Pipes, Tubes, Plates & Coils etc. delivery across the globe. For over years, customers have depended on Rose Metals for the very best in speciality metals, complete processing services and timely delivery. Rose Metals is of the reputed export houses from India. It is an organisation with strong roots with clear vision of future. We have also undertaken projects overseas.